Breaking Bad returning for Season 6 is a hoax? So we all thought that Breaking Bad was done, and guess what? It is, but not according to the almighty internet. 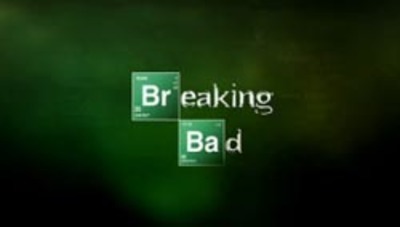 Recently a hoax began stating that Breaking Bad creator Vince Gilligan announced that Breaking Bad is back for another season, even though season 5 seemed to have wrapped everything up. Do these kind of hoaxes drive you crazy? Are they funny, or just sad? Have you ever fallen for a hoax like this? Yes, I have often fallen for hoaxes perhaps not quite the same as this, but how do you know it is a hoax? With ordinary hoaxes I now look up a site to see if it is a known hoax but not sure if this type of thing would be in there. Yes, any type of hoax is really annoying, not funny and also not sad, but just annoying to think what amuses some people. I wouldn't say I've been taken in by a hoax like this, but I have got excited about genuine rumours in which there has been a distinct possibility of something happening, but eventually not. I fell for one of these hoaxes recently, it was an old April Fool's day joke. I didn't look at the date on the article and stupidly didn't Google a second source, I got all excited, wrote a question regarding the material for MovieOde and went on my way. I was a full two weeks later that someone answered the question with something like, "You know this is an April Fool's joke, right?". Oh, that's a shame! Most definately sad, I loved Breaking Bad, although it ended well it was one of my favourite shows. For me I never really get into anything much on T.V. But! BB was such an amazing well casted show, that if it came back I would have a smile from ear to ear. To make a hoax is just sad. No I don't fall for this kind of hoax much at all....it would have to be a very good one. BB Could have gone into another season easy, no matter what other people say.It was that good.! Would you like to see Charlie Sheen return to Two and A Half Men?